Simple, effective and proven to be the best “off the shelf” roof penetra-tion system. So good in fact that our design has been written into the building specifications of the largest data center firms in the world. We have a 4 year track record with hundreds installed without a single warranty request. Batting 100% customer satisfaction. 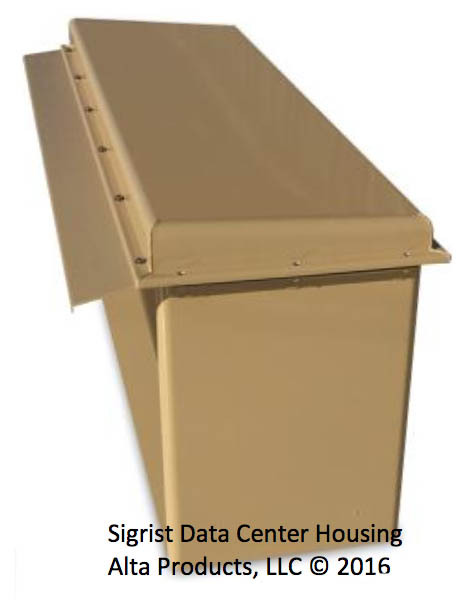 Sigrist brand housings and curbs are manufactured in the United States using .125” thick aluminum. We use computer guided laser cutters and metal forming machines. The seams and joints are all hand welded to insure a weather-tight housing and lid. Sigrist Pipe Chase Housings are finished using a UV inhibited powder coating material that is electrostatically bonded creating a uniform .2mil thick finish. Drawings and submittal information is available on our Downloads page. Our flawless track record... Our first Pipe Chase Housing was patented in 2006, since then we have sold and shipped over 2,000 Pipe Chase Housings and Curbs of various sizes and... about 20,000 Sigrist Exit Seals® without a single failure or warranty request. 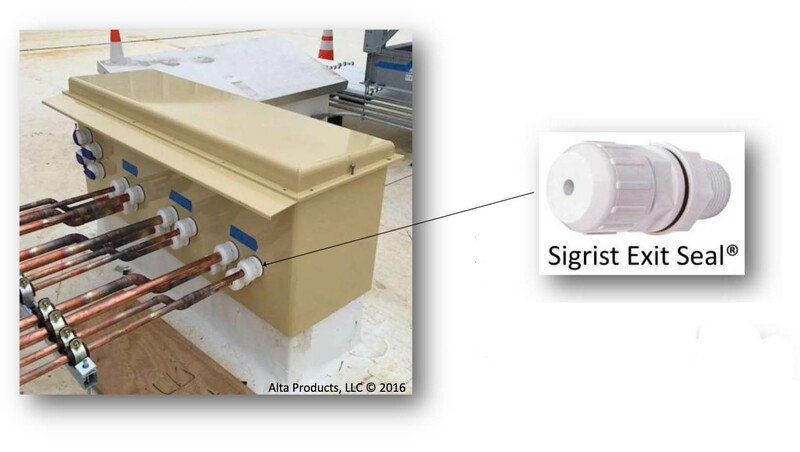 There is no better way to pass conduit, pipe and lines through the roof than with Sigrist Pipe Chase Housings, Curbs and Sigrist Exit Seals®. Sigrist Exit Seal® – the “no caulk” exit seal - Molded to Schedule 80 strength using high impact resistant ABS resin. EPDM gaskets are used for the cap and exterior seals. Backed by a limited lifetime warranty.